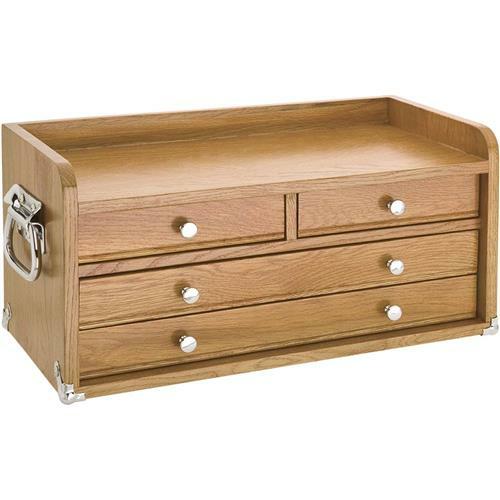 This Beautiful Oak Chest of Drawers deserves a place in any workshop. Features partitioned drawers and felt-lined bottoms to organize and protect fine tools, sharp edged cutters and precision instruments. 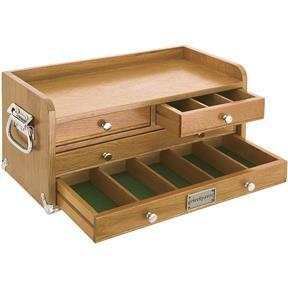 Each top drawer measures 6-3/8" wide x 6-1/8" deep with three 2" wide compartments. 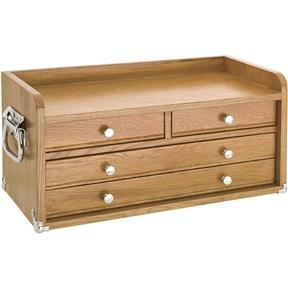 Each bottom drawer measures 14" wide x 6-1/8" deep with five 2-5/8" wide compartments. Complete with side handles, bottom corner hardware and a satin honey finish.